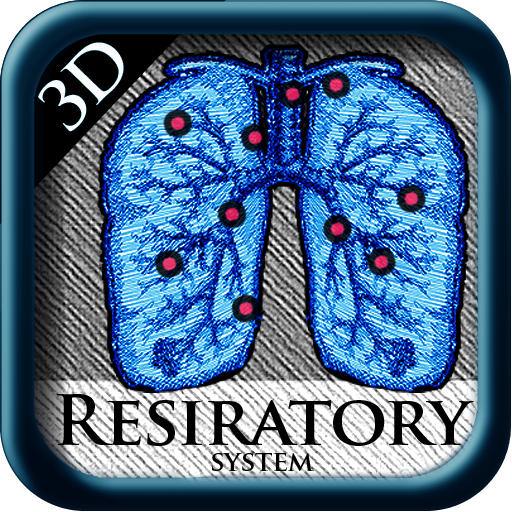 In 3D, you can see the Respiratory System from all angles, digitized, with each of its parts, pin pointing, touching and open information. 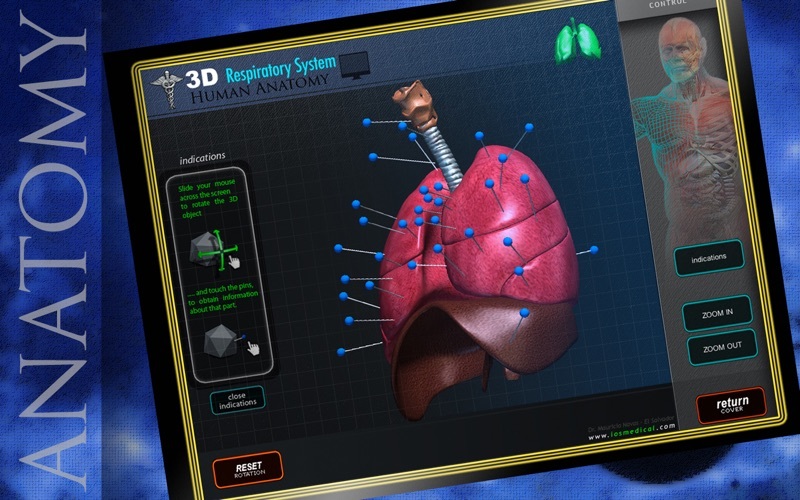 By touching these pins, you can focus specifically on the Respiratory System, with illustrations, graphics, photos and detailed information about the area of the Respiratory System. 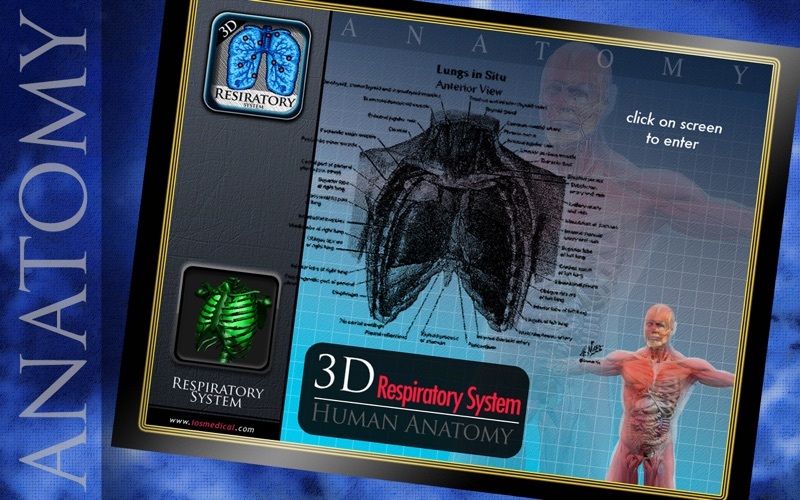 The respiratory system can be rotated in all directions, click the pin where you want the information, you may be able to zoom in or zoom out to see specific parts, textures, colors, dimensions, etc..
medical applications focus on fields of study, education and medicine in general, the students, especially doctors, schools and universities. 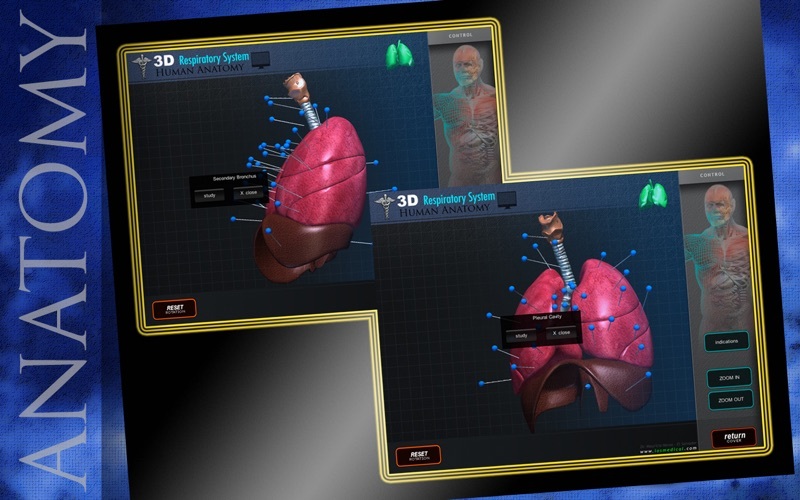 And in an interactive, you will learn the parts of the body and the human anatomy. 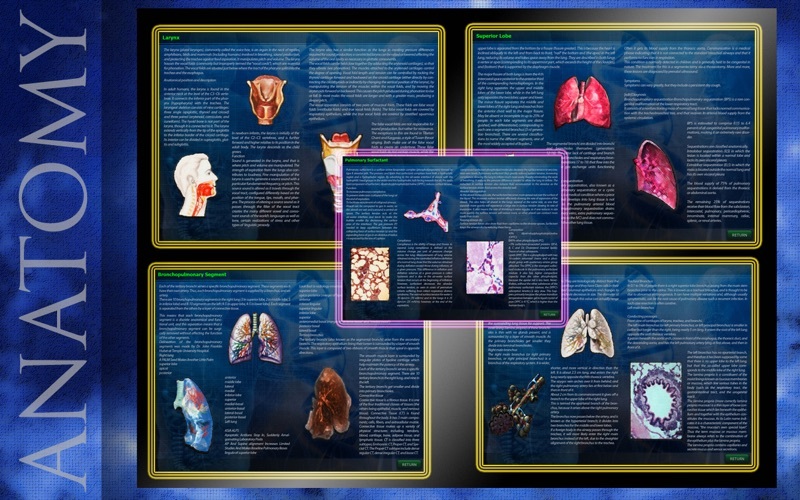 Of course, you can use within the family, children or friends to interact and learn.